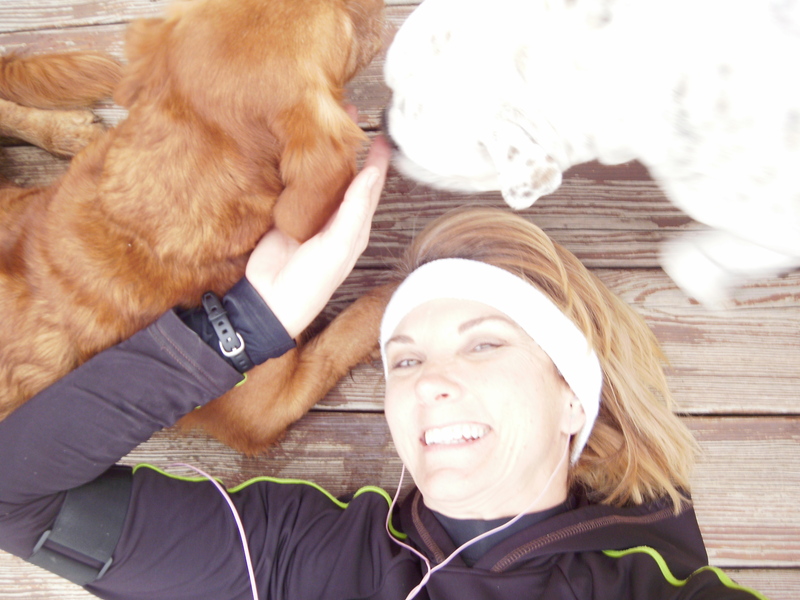 Great run on the farm – Happy. Healthy. Heathen. not a great pic, but these girls just wouldn't cooperate! 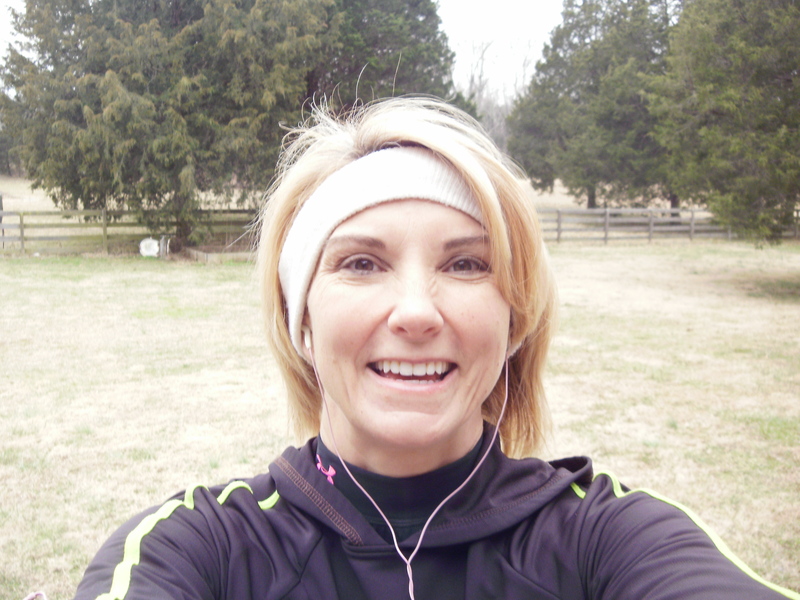 It was cool and overcast-y, and a little bit muddy, but it was good to get out on the property. It was probably about a 5 – 5.5 mile run (60 minutes); yesterday was a great strength training event. Kinda boring, but sometimes that what training is. Favorite shuffle today was Bread and Roses, John Denver. I wrote in an earlier post that I wanted to blog about a few different things, and since this post is a bit short about training, I’m going to blog about one of my favorite Christmas presents: My New Kindle. Jesse gets the credit for this, but I’ve been whining about it for a while – he knows how to shut me up! So this is Amazon’s electronic book, if you don’t already know. It can hold about 3,000 volumes and most downloads are about $10 and take about 60 seconds to beam into my device. There are a lot of books that are considered public domain and are free: Sherlock Holmes, most classics like Jane Austen, Charles Dickens, many children’s stories. There are other sources for book downloads, but I haven’t begun researching this yet. Not every book in available in Kindle form, but it appears they are growing exponentially. You can also subscribe to newspapers or magazines – you get them even before they hit the newsstands! The Kindle is a pure delight to use. It is not a lighted screen, so you must have a source of light in order to read, but it is incredibly simple to use. There is a font size option, and a words-per-screen option. I use a smaller font if I have my reading glasses handy, but can enlarge it to readable size if not. The page-turning feature is on either side of the 6″ x 8″ pad (about 1/3″ thick) and the black leather cover protects the surface. It takes a charge in about half-hour and will last about 4 hours reading, I think. I do not think that electronic devices will ever fully replace books. Everyone with whom I’ve spoken about this Kindle has the same response: “But I want to TOUCH the book, FEEL its pages, SMELL it”. I get it, I get it. I like to do that too. But here’s where I think the Kindle has an application. When I travel, I usually take 3 or 4 books with me…sometimes I finish one on the travels and need a new one, sometimes I am reading several at once, sometimes I want to refer back to something. So far I have downloaded 8 or 9 of my most favored volumes, and a couple of new ones I’ve been wanting to read, along with the complete works of Sir Arthur Conan Doyle, and On The Origin of the Species by Charles Darwin. I am reading a most of them simultaneously, which is the way I typically read books. I beamed in the latest edition of Newsweek, to which I have a subscription, but I didn’t really like it on the Kindle, because it has no ability to show pictures, and I really missed that. It was perfect on the airplane, and on the couch, and in my bed. You can also highlight, make notes, save passages, and add bookmarks. It has the ability to be online, but since I have an iPhone, I haven’t really pursued this ability. I’ll see how it goes in my usual routine here at home – I’ve had it with me for the last 2 days, but haven’t found an extra couple of minutes at Starbucks yet! Did you know that I’ve read that book? And I agree that it is certainly interesting!! Love you right back!